Police have identified a man who they say planted devices onto the ATM machine of a South Jersey bank in an attempt to steal from unsuspecting customers. Police say 22-year-old Lance Lindaberry of Medford, NJ was caught on surveillance video on April 26, installing a skimming device on an ATM inside the Bank of America on W. Rt. 70 in Marlton, New Jersey. Investigators say Lindaberry first attached a small electronic device over the card slot to record customers’ account information. He then allegedly attached a small pin-hole camera to the ATM to record the users entering their PIN number. During most skimming cases, the stolen information is encoded onto blank cards and is then used at ATMs to withdraw funds with the customer’s PIN. Police say the device was only attached to the ATM at the Bank of America for three hours, thanks to an alert customer. The customer noticed a tiny wire sticking out where the adhesive was holding the camera in place. Friel says the customer helped save thousands of dollars from being stolen by alerting police immediately. Police obtained a search warrant for Lindaberry's home as well as an arrest warrant. Investigators say Lindaberry was not at his home however when they executed the warrant. If you have any information on Lindaberry's whereabouts please call the Evesham Police Department at 856-983-1116, the Confidential Tip Line at 856-983-4699 or email at Facebook@Eveshampd.org. Anonymous tips text ETPDTIP to 847411. 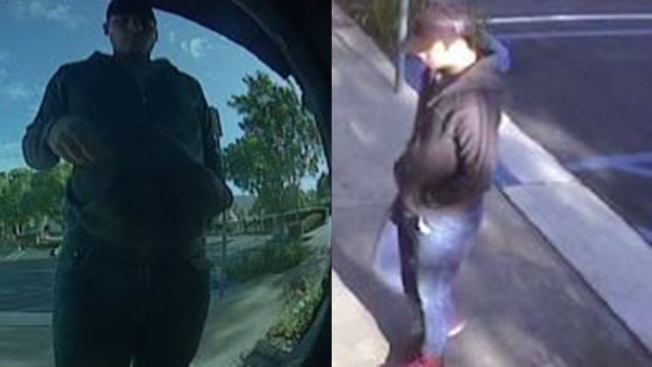 To avoid being the victim of skimming, police say you should always inspect the ATM, gas pump or credit card reader before using it and be suspicious if you see anything loose, crooked or damaged or notice scratches or adhesive/tape residue. Police also recommend blocking the keypad with your other hand while entering your PIN number to prevent possible hidden cameras from recording it and to use an inside rather than outside ATM if possible. If your card isn’t returned after the transaction or after you hit cancel, police say you should immediately contact your card company.